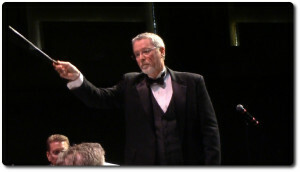 Dr. Paul Hill is the founding conductor for Marietta Pops Orchestra and has been conducting orchestras and choirs as a church and community musician for almost 40 years. He received his Doctor of Musical Arts (DMA) degree from Shenandoah Conservatory (of Shenandoah University) in Winchester, Virginia. His dissertation, which explored the music literacy of adults, eventually became the basis for his curriculum entitled The Basic Music Reading Skills Course and is available for purchase. For more information regarding this curriculum either contact Dr. Hill directly or go to his website (basicmusicreadingskills.com) for these materials. Prior to receiving his doctorate, Dr. Hill received his Master of Church Music (MCM) degree from The Southern Baptist Theological Seminary in Louisville, Kentucky and his Bachelor of Music (BM) from Samford University. Throughout his educational experiences he has had numerous conducting experiences from serving as assistant conductors for his conducting professors as well as being awarded a conducting position leading an 80-voice auditioned college choir for a year while still a student. Dr. Hill has published articles in a variety of church music and choral music related journals, including the American Choral Director’s Association “Choral Journal” in 2009. He serves as conductor, clinician, adjudicator, and instructor in various conferences, festivals, online courses and universities. Among his various European tours as a professional musician, Dr. Hill served as the conductor of the Florida Baptist Brass Ensemble, featured at the International Church Music Festival in Bern, Switzerland. Earlier in his career, and while a college student, Dr. Hill played trumpet in touring brass ensemble while also serving as an assistant conductor during a nine-country European tour by the Baptist Festival Singers. For almost 40 years, Dr. Hill has served as minister/director of music in churches in Alabama, Kentucky, Florida and Georgia. In each of those churches he has produced well-rounded music programs with musicians of all ages. In most of those churches he has established orchestras that continue today, including the orchestra (First Orchestra) in his current church at First Baptist Church Marietta, which he began as soon as he arrived in 1999. He has recorded numerous professional recordings of his choirs and orchestras as well as serving as studio conductor for other recordings. Dr. Hill can be contacted at info@mariettapopsorchestra.org.